So now I’m on maternity leave, things are getting scarily real. There’s actually a baby on the way pretty soon! In between daytime TV property makeover shows and ill-advisedly watching old episodes of One Born, I’ve started ‘getting organised’ as best I can – and job one was packing the hospital bag (or bags as it has turned out to be). 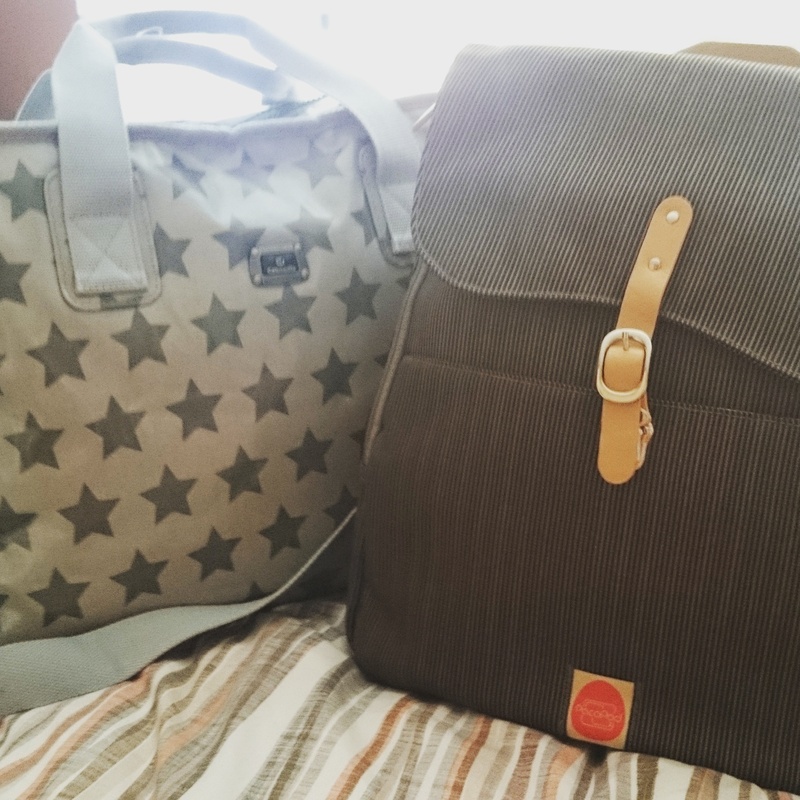 As a Beebies Baby Store brand ambassador, I was lucky enough to have been sent a brilliant Caboodle changing bag, covered in stars which I love, and roomy enough to be the perfect hospital bag. 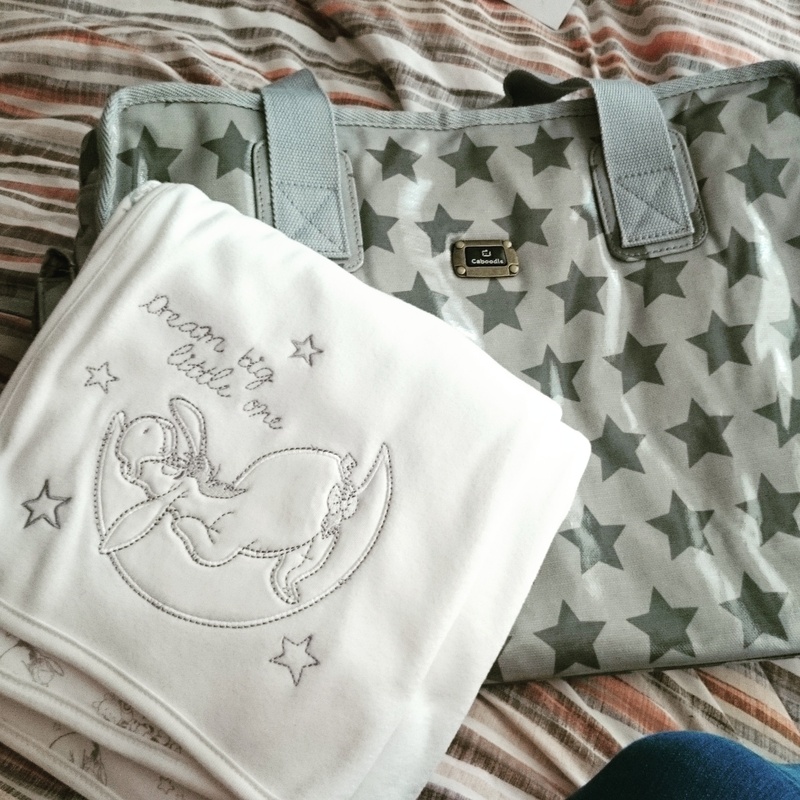 It comes with a lovely big folding changing mat, and a couple of handy extra pouches for various things, along with plenty of additional pockets inside for lots of baby bits – but for this occasion it was going to be my ‘mum’ bag. As I got it out on the bed, I sat and stroked the fleecy Eeyore blanket I had picked up for a fiver in Sainsbury’s, and realised I had no clue what to actually put in it. Nor was I sure what needed to go in the ‘baby’ bag, which was going to be the fab Pacapod changing bag I had been given as a maternity leave gift from my work colleagues. 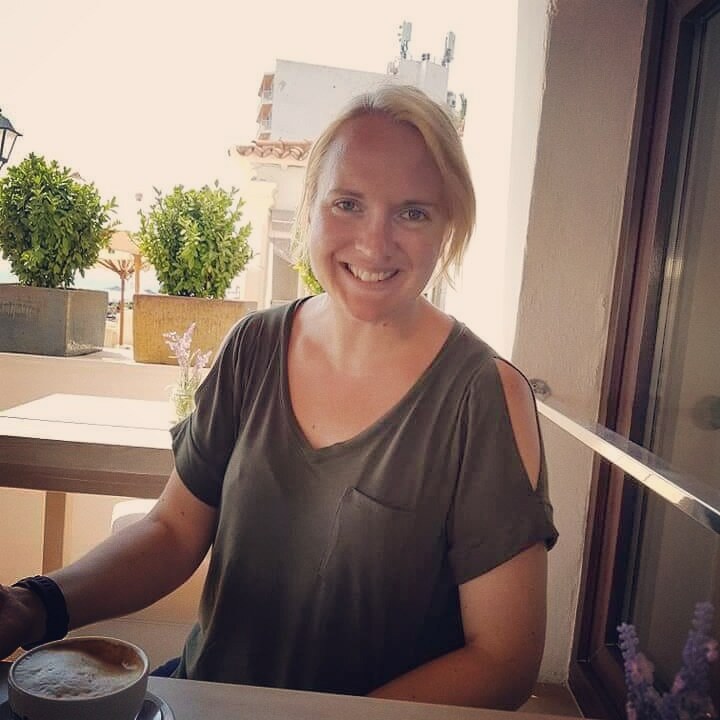 When I was admitted to hospital suddenly while pregnant with Little Man, actually around this point of the pregnancy, I had prepared absolutely nothing. At 36 weeks and not yet having finished work, I thought I had all the time in the world. Pre-eclampsia had other ideas. Andy had to bring me everything I needed from home as I mentally went through my drawers thinking what was necessary for an indeterminate hospital stay. When Joe was born weighing 5lb 9oz, even newborn size clothes were far too big for him so Andy had to go out and buy some ‘tiny baby’ sleepsuits which still swamped him. 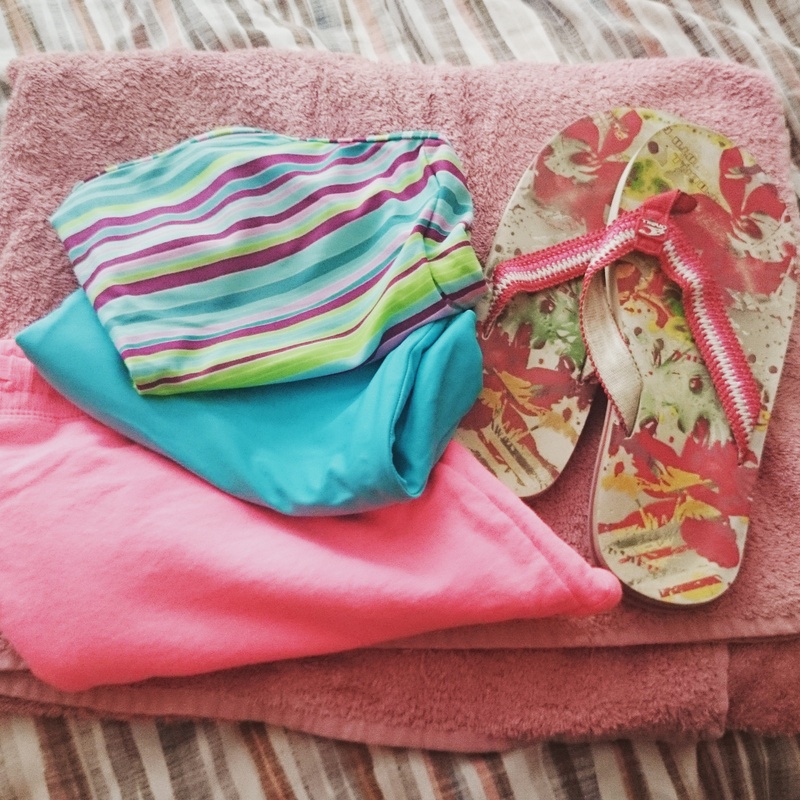 We managed then, so why was I obsessing so much about what to pack now? At least I knew of one thing that needed to go in – enormous pillow-like maternity pads. Oh, the joys. 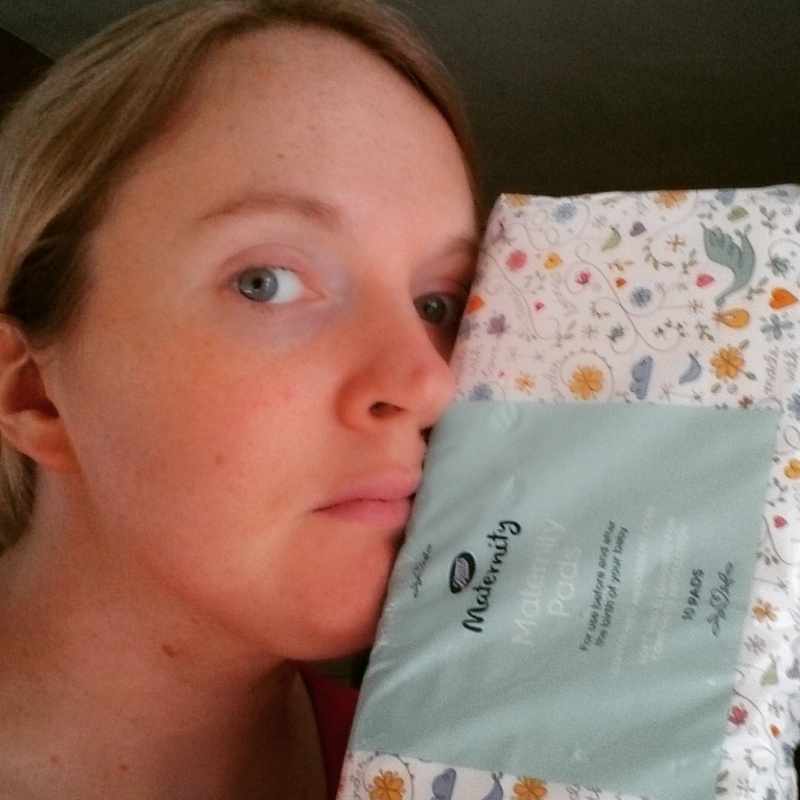 I thought I would concentrate on getting my bag packed first, so along with two packs of maternity pads (just in case I need 20 of the things in that first day), in went the accompanying oh-so-glamorous disposable briefs and a handful of breast pads (in pairs!). 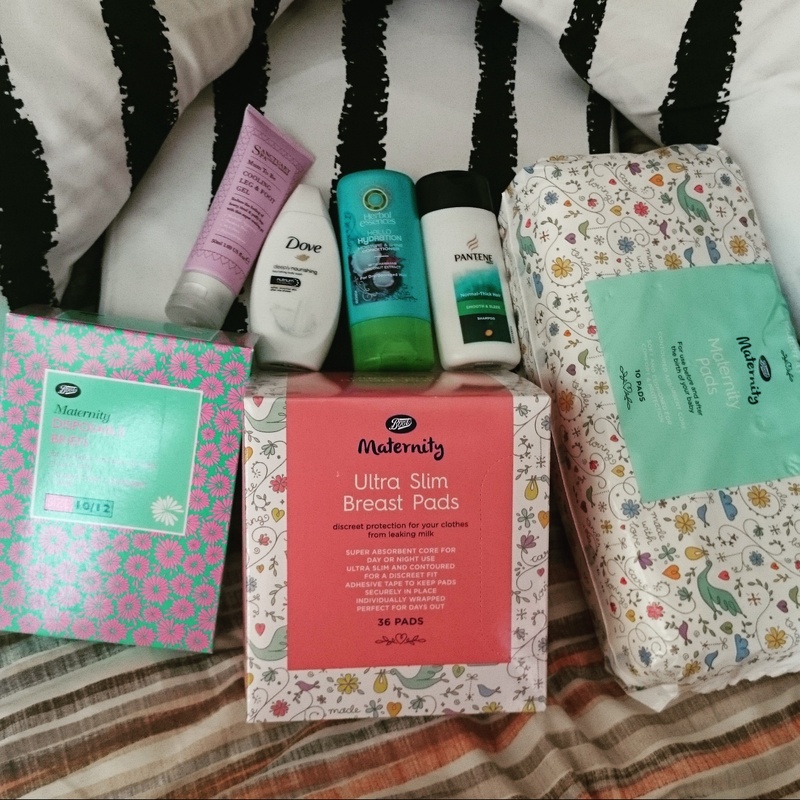 I also added some travel toiletries (I can throw in extra bits like my toothbrush and so on when the time comes), and some cooling leg and foot gel which I thought might be nice to have. I’ll also be taking along my pregnancy support cushions, which have been one of my must-have purchases from Beebies! Ideally I’ll be labouring in the Birthing Centre at the hospital – a midwifery-led unit in the same building as the main maternity ward and delivery suite – and will be able to make use of a birthing pool. Whether I actually give birth in the pool or not remains to be seen but I’d at least like to enjoy a bit of relaxation and pain relief in the pool. As such, I’ve packed as if I’m going on holiday, with a tankini, shorts, flip flops and a big towel. I’ve also chucked in some trackie bottoms and big socks, and will add a few last minute clothes when we’re ready to go. Then it came to the baby bag. 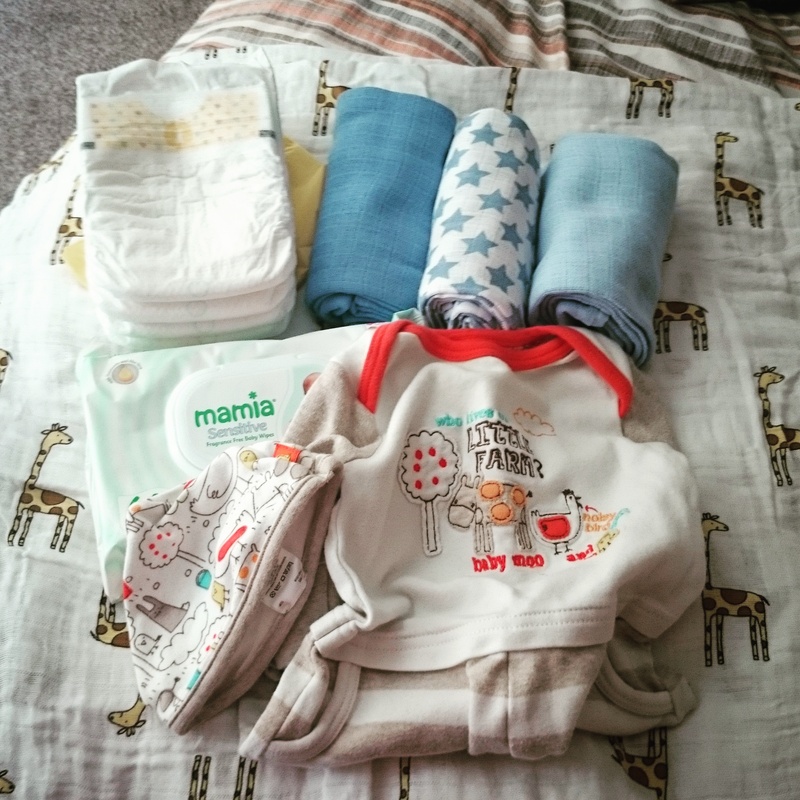 This was relatively straightforward – newborn nappies, wipes and nappy bags, three muslins, a couple of vests and sleepsuits, a little hat, and the big giraffe-print swaddling muslin from Aden & Anais I was bought when I finished work. 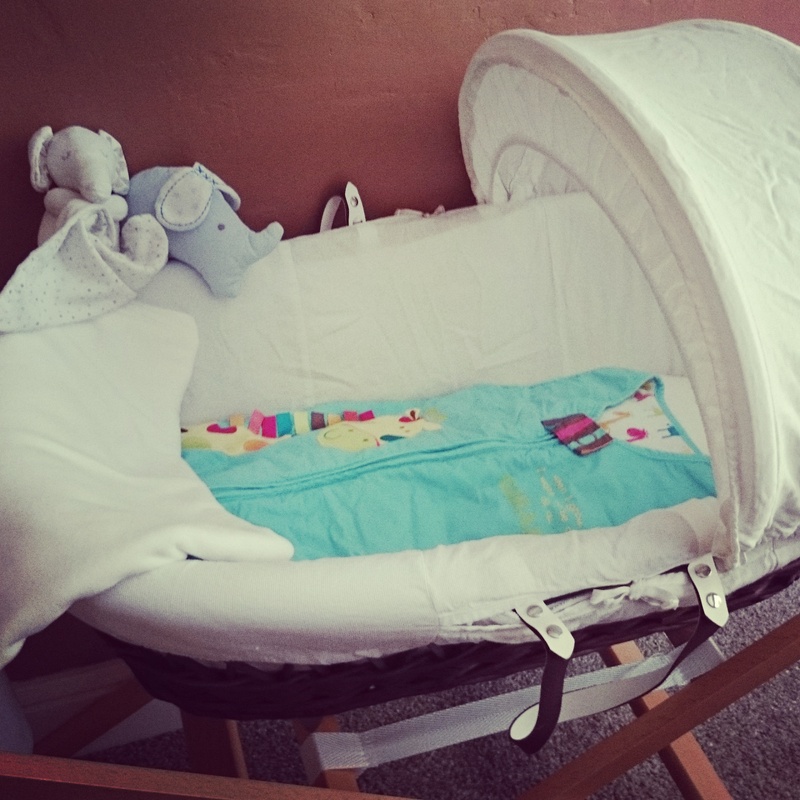 The only dilemma I really had was what size of baby clothes to pack – I still can’t quite get my head round the idea of having an average sized newborn rather than a tiny one. Optimistically, I’ve left all Little Man’s ‘tiny baby’ clothes boxed up and have packed regular ‘new baby’ ones instead. This is a big deal for me. 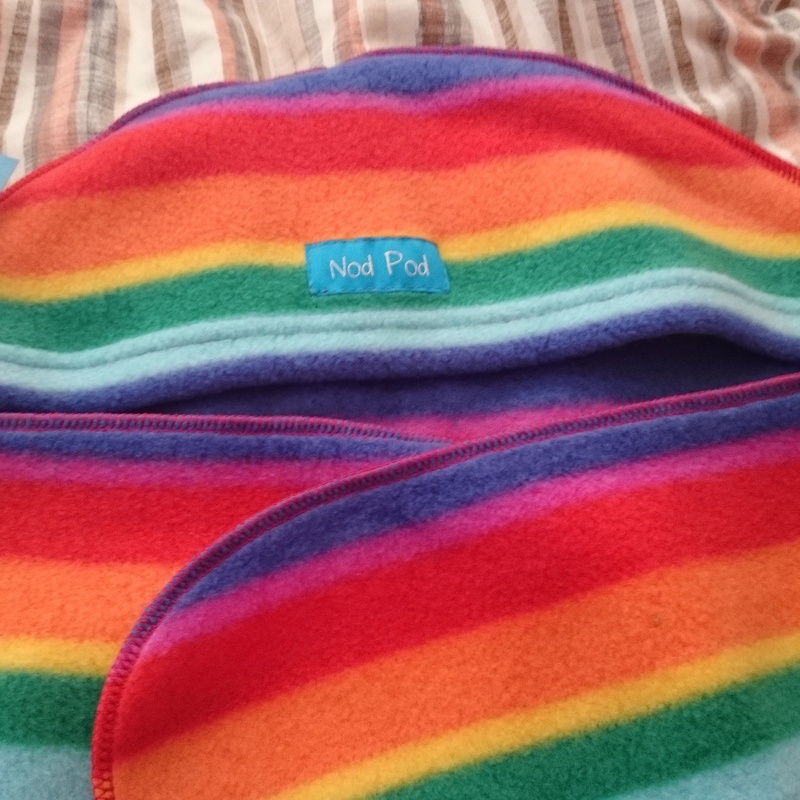 As an added bonus, while I was packing, the Nod Pod baby blanket I ordered from Beebies turned up, so that will be coming along to give Bump a snuggly soft wrap to keep him cosy on the way home. And so we are good to go. Two bags ready and waiting for the big day, as I keep everything crossed that we will have the excitement of early labour at home, and everything we missed out on last time. The next week or so will have a lot of significance for me as I think back to this point in my first pregnancy and how nothing panned out the way we hoped it would. These two bags mean a lot to me. I hope that they signify a good omen for the end of my pregnancy and that they are not the only things I wasn’t able to experience last time that turn out differently this time. We’re getting ready to bring someone home. As a Beebies Baby Store brand ambassador, I was sent the Caboodle changing bag free of charge for the purpose of using it in this post. All other products mentioned have either been purchased by me or given as gifts from friends. Congratulations on starting your maternity leave – I’m already looking forward to mine although have to wait until November for that pleasure. I can remember over packing when I had my other two children so I’m hoping to cut down on the luggage this time round. Ooh I need to pack my bag and actually start baby shopping. I’m 28 weeks now and keep thinking I have plenty of time still! Happy start of maternity leave 🙂 I love Homes under the Hammer, I always dream I’m going to be some fabulous landlord! Aw I love this post! And your face against the maternity pads! Haha! I must say you’re very organised- I had nothing ready, despite having my bag packed from 30 weeks- when I got to hospital there was nothing useful in it at all!